Board meetings are always the 4th Tuesday of the month 7pm- Everyone is welcome- Please join us! Do you shop at Yokes Fresh Market? 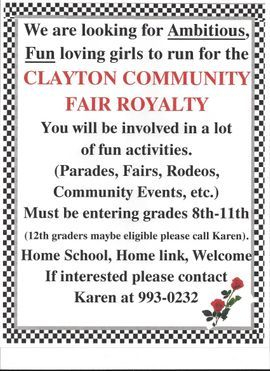 Sign up for their Community Card to earn up to 5% of your purchase for the Clayton Community Fair! Click HERE for your Community Card Application.